Vanessa Carlton is a singer-songwriter who rose to fame with her debut single ‘A Thousand Miles’. This biography of Vanessa Carlton provides detailed information about her childhood, life, achievements, works & timeline. Musician Vanessa Carlton is an overnight wonder who rose to great fame with her debut single ‘A Thousand Miles’ before bringing out her smash hit debut album ‘Be Not Nobody’ which went on become Platinum certified. Daughter of a music teacher, she was naturally inclined towards music and began singing as a toddler of two. She was exposed to classical music from a young age—her mother ensured the little girl became aware of the music of great composers like Mozart, Erik Satie and Claude Debussy. She also learnt the piano and took ballet lessons. Upon graduation from college she realized that music was her calling and began performing in bars and clubs while at the university. The president of A&M Records heard her demo tape and invited her to record a single. Her debut single ‘A Thousand miles’ became an instant hit and garnered several Grammy Award nominations. When her debut album ‘Be Not Nobody’ was released a few months later, it peaked at No. 5 on the Billboard 200 albums chart. However, she could not repeat the success of her initial works with her later albums ‘Harmonium’ and ‘Rabbits on the Run’. Along with releasing albums, the talented singer is also considering a career in film scoring. 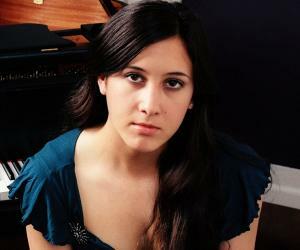 Vanessa Carlton is one of the three children born to Ed Carlton and Heidi. Her father was a pilot while her mother was a pianist and music teacher. She is of mixed ancestry. 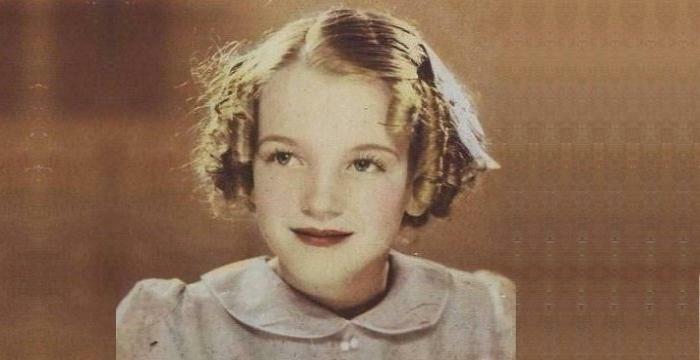 Music runs in her family and she began playing songs on the piano when she reached the age of two. Recognizing her daughter’s talent her mother began tutoring her. She was exposed to classical music by her mother while her father introduced her to classic rock music. By the time she was nine-years-old, she became interested in ballet. She received her primary education from Montessori School and was accepted at the School of American Ballet in 1994 when she was 14 years old. She attended high school at the Professional Children’s School. She later attended Columbia University. She started giving vocal performances in clubs and bars at this time. She recorded demo tapes and sent them to recording companies in order to get a contract. She signed a contract with Jimmy Iovine, the co-founder of Interscope Records to record an album. She began work on her album ‘Rinsed’ which was however never released. Ron Fair, the president of A&M Records, heard her demo tape and was impressed by the song ‘A Thousand Miles’. He organized a recording session for the song and produced it himself. The song was an instant hit and reached the Billboard Hot 100. It also garnered several Grammy Award nominations. Her debut album ‘Be Not Nobody’ was released in April 2002. The album contained several of the songs she had previously recorded for the unreleased ‘Rinse’. It peaked at No. 5 on the Billboard 200 albums chart. She went on a tour to promote her album at the end of 2002. Before embarking on the tour she opened for other bands like Goo Goo Dolls and Third Eye Blind. She also worked in collaboration with other musicians like the Counting Crows, Zucchero and Kimya Dawson for their albums before releasing her second album. Her second album, ‘Harmonium’ was out in November 2004. It was a big disappointment for the singer as it did not do well. It reached only No. 33 on the Billboard 200 and also sold very less as compared to its predecessor. Her third album, ‘Heroes & Thieves’ was released in 2007. It received generally positive reviews though it did not perform well; despite being a commercial failure, it was a critical success. The singles ‘Nolita Fairytale’ and ‘Hands on Me’ were minor hits. She went on the Haunted Club Tour to promote this album. In July 2011, she released her most recent album ‘Rabbits on the Run’. It was a concept album inspired by Stephen Hawking’s ‘A Brief History of Time’ and Richard Adams’s ‘Watership Down’. It featured the single ‘Carousel’ and received highly positive reviews. Her debut album ‘Be Not Nobody’ is her most successful album till date. The album was certified platinum in the U.S. and gold in the U.K., Canada and Australia. The first single of the album, ‘A Thousand Miles’ peaked at No. 5 on the U.S. Billboard Hot 100. She earned three Grammy Award nominations in 2003 for the single ‘A Thousand Miles’ including the Grammy Award nomination for Song of the Year. She was nominated for the American Music Award for Favorite Adult Contemporary Artist. She dated Stephen Jenkins, the singer-songwriter and guitarist of the band Third Eye Blind from 2002 to 2007. She is interested in philanthropic activities and has worked with PETA. In 2005 she ran the New York City Marathon and donated the money to a charity. She came out as bisexual in 2010. Her pet dog is seen in the video of the song ‘Nolita Fairytale’.